Once you decide you are going to Fight your Wisconsin DUI Charges, the process of finding the right attorney begins. Do I want the best? Do I want a local attorney? How much does a good DUI Attorney Cost? There are a lot of questions that need to be answered prior to hiring the right Wisconsin DUI Defense Attorney. Hopefully this will answer some of them for you. Number One Fact You Must Understand – DUI Defense is NOT Criminal Defense. What should you expect from your DUI Attorney Interview? In most cases you should expect a Free Initial Consultation, where the attorney will provide an initial review of your case, potential penalties you may face, and an overview of the legal process. During the consultation, all details of your arrest should be reported to the attorney, including where you were, where you were going, how much you had to drink, and your Blood Alcohol Content (BAC) level. It is also important to inform the attorney whether your BAC was determined by Blood or Breath Testing or if you Refused Blood or Breath Testing. How Much Should A Top Rated Wisconsin DUI Attorney Cost? Attorneys charge different rates based on experience and level of knowledge of drunk driving arrests. There are some low-end attorneys that will offer to handle a case for around $1000. These attorneys will help you through the process, but you will usually end up with a guilty plea. They simply do not possess the experience and knowledge required to effectively defend your drunk driving charge. Heavy Hitters or highly experienced attorneys can be expensive and charge anywhere from $8,500-$15,000 for DUI cases. This can put a huge hole in your wallet, on top of the fines and court costs that must be paid. Attorney Nathan Dineen has taken a different approach based on the comments and evaluations of his clients. Attorney Dineen charges a flat fee to review your case. He will sit down with you and go over any potential issues, such as the results of negotiating with the Prosecuting Attorney. After assessing and evaluating every aspect of your individual case, Attorney Dineen allows you to make the final decision to accept a plea or proceed to trial. In allowing you to make this decision, Attorney Dineen answers any question regarding the pros and cons of your decision. Attorney Dineen is an aggressive attorney who does not stop unless his clients tell him to. For this Aggressive and Knowledgeable Approach, Nate was recently recognized as 2013 Top Rated Drunk Driving Defense Attorney in Milwaukee by Milwaukee Magazine. It is important to hire an attorney with experience in Wisconsin DUI Defense. If you have been charged with an OWI/DUI offense, contact Wisconsin DUI Attorney Nathan J. Dineen of Vanden Heuvel & Dineen, S.C. You may complete and Submit a DUI Case Review or contact him toll free at 1-877-384-6800. 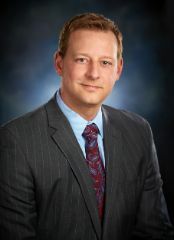 Attorney Dineen practices solely in DUI Defense and is a member of the National College of DUI Defense. He is a Certified Field Sobriety Test Instructor (SFST) and Drug Recognition Evaluator (DRE). Attorney Dineen is available 24/7 for Initial Consultations either by phone or at one of his four office locations.